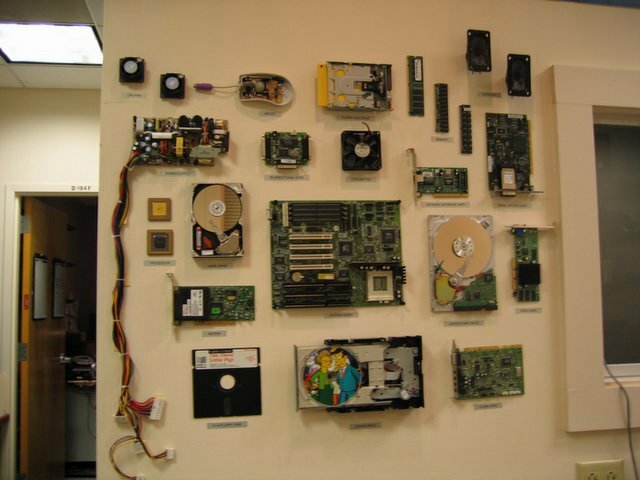 Brown Brown: Geek Wall of Fame! masterpiece at our place of work. I had collected some computer parts for a while and finally decided to place them on display.